2013 ISLE OF MAN T.T. Starts TODAY !!!!!! This is the full qualifying and race schedule for the 2013 Isle of Man TT fuelled by Monster Energy. The schedule may change due to weather or track condition delays. For up-to-the-minute information please check our facebook and twitter feeds or listen live to Manx Radio TT. Further details may be added to this schedule as they are confirmed. There is nothing on Earth quite like the Isle of Man TT Races. No other motorcycle race is held on such a challenging track as the 37-mile plus Mountain Course with its seemingly never-ending series of bends, bumps, jumps, stone walls, manhole covers and telegraph poles. 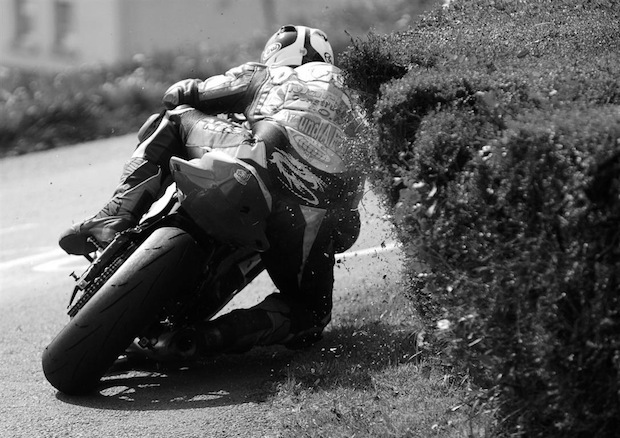 If you are considering a trip to the 2013 Isle of Man TT then why not start planning now? You can start arranging your trip to the 2013 TT by contacting the official travel partner of the event, Regency Travel, today. Plan your trip now by contacting the Travel and Accommodation Telephone Hotline on +44 1624 694 456 or visiting the website. As ever there’s a packed programme of entertainment for race fans starting on the 24th May and running through to Sunday 9th June. With ever-green favourites such as the Douglas Promenade TT Funfair, the Laxey TT bikeshow and the noisy Ramsey Sprint there’s something for everyone. You can also download the Official Events Schedule which has everything on one page. It’s easier to fit in your leathers but it’s not got quite so much detail. To celebrate the 90th anniversary of the first ever Sidecar TT race there will be a sidecar only parade lap on Friday, June 7, prior to the Senior TT. The parade lap runs 90 years on from the first race for three wheelers won by Freddie Dixon and his passenger Walter Perry on the innovative ‘Banking Sidecar’. It’s vitally important to pay attention to roads closed orders – if you are on a public road after it closes you are committing an offence – and you may put yourself and others in danger.